Home › Jeweler's Corner › Is it time to spring clean your jewelry box? With spring coming many people are starting on some spring cleaning projects. But there is one small area in your home that may be neglected, your jewelry box. Over the years many people accumulate a number of items that are broken, watches that need batteries or items that are the wrong size? Frequently these items are added to the jewelry box and then forgotten about. Or perhaps you don’t have any items that need repair, but what about items that you don’t wear any more? Is it time to clean them out? If your jewelry box could use a good spring cleaning stop into Amoskeag jewelers today. We will be happy to help you with any repairs or services that can make your unworn jewelry usable again. Or if the items you need to clean out are not things you will need again, you can trade them in for credit towards a new item or cash. 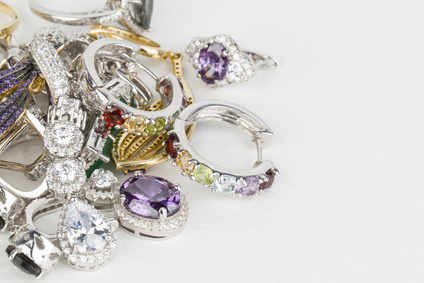 Whatever your clean out needs are the helpful jewelry professionals at Amoskeag Jewelers are happy to be of service, stop by today or call to make an appointment.